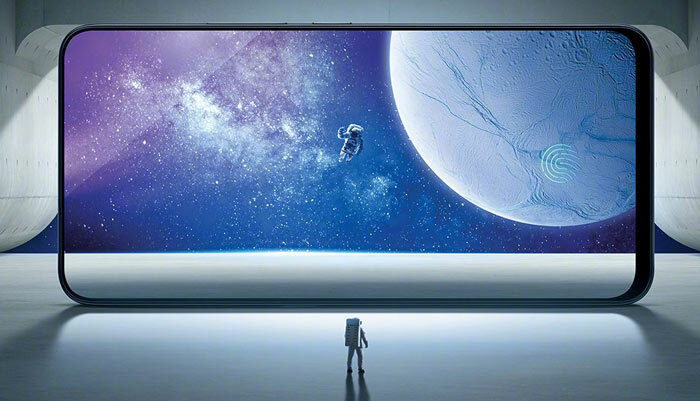 Chinese smart device maker Vivo has announced its new flagship smartphone, the Nex, which it claims "fulfils the bezel-less dream." If you think you have seen something similar to the Vivo Nex before, you could well be thinking of Vivo's prototype Apex 'FullView Concept' smartphone which was shown off at the MWC in Feb. Vivo is one of the world's top 5 smartphone makers, but most of its wares are sold in China and India. The Vivo Nex might be the closest we have seen to a bezel-less device with hardly any bezels at all, only a very slight 'chin' in evidence (see picture below). In numerical terms it has got a screen to body ratio of 91.24 per cent. Liliputing says that the top border is a very slim 2.16mm, and the side bezels measure 1.71mm, but the bottom one is 5.08mm. A variety of technologies have been leveraged to get to this design. Probably the most striking design choice if the pop-up selfie camera, negating the need for a front mounted camera unit and its related tech. Replacing the usually obligatory front speaker, Vivo has implemented glass-vibrating 'screen soundcasting' technology, which according to the reporter at The Verge "sounded pretty good". Continuing with the front bezel minimising tech, Vivo has installed an in-display fingerprint sensor - but it could have shoved it around the back like many a rival design. 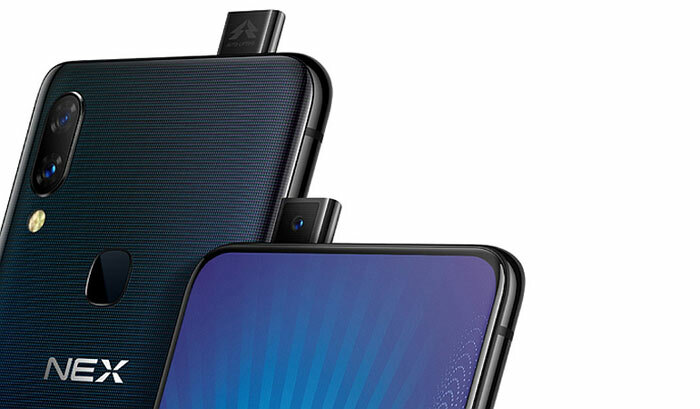 Looking at key tech specs, the high-end version of the Vivo Nex sports a Snapdragon 845 processor, 8GB of RAM, a 4,000mAh battery, 256GB of storage, and a 6.59-inch 1080p+ OLED display. (A cheaper version will instead feature a Snapdragon 710, 6GB of RAM, and 128GB of storage.) Whichever model you choose you will get a dual rear camera with 12MP sensor and f1.8 lens, with a 5MP f/2.4 partner. The popup camera is an 8MP model with f/2.0 aperture. Elsewhere you will find a USB Type-C port, a headphone jack, a 4000mAh battery and Android 8.1 comes pre-installed. In your hand the Vivo Nex may feel weighty at 199g and 7.98mm thick. As for pricing, in China, the Vivo Nex with the SD845 chip is approx $850, and the version based upon the SD710 is approx $600 (these are Chinese prices converted to US dollars). I have seen some of the Vivo phones and they are quite nice,but was not sure about the 4G band support. Aren't moving parts a big no-no in today's modern design, due to breakages? Always nice to see something a little different, though! Only for cam whores who obsessively take selfies. Everybody wants the greatest amount of screen real estate in the smallest phone possible! Only for cam whores who obsessively take selfies. And everyone who tried to sell me on Smartphones, back when I was using things that ran Windows Mobile 5.5… Rarely did I meet someone who hadn't dropped/sat on their stupidly big plates of glass and damaged the screen, despite using protectors. Everybody wants the greatest amount of screen real estate in the smallest phone possible! I really hate that term, usually bandied about by the Selfie generation of marketing executives.